Our favorite group of fictional catalog executives are back to discuss free shipping. We begin, by vising the boardroom at Gliebers Dresses world headquarters, where Interim CEO Roger Morgan is about to enter. Faith Kelley (Executive Administrative Assistant): Friends, I introduce to you, Roger Morgan. Faith opens the door to the boardroom. The Executive team stands. Roger enters. Roger Morgan (Interim CEO and Chief Operating Officer): Please, sit everybody. We've got a big agenda to cover today, so let's get right down to it. Pepper, what do the numbers look like this week? Pepper Morgan (Chief Marketing Officer): This week, we did $1.1 million in demand, five percent ahead of forecast, flat with last year. For the month, we did $3.8 million in demand, one percent ahead of forecast, five percent behind last year. We're behind last year because of the shift in Easter. Roger Morgan: It would make it easier for us to understand business trends if Easter fell on the same weekend each year. Pepper Morgan: Our first quarter is over. We did $11.7 million in demand, two percent below forecast, flat with last year. Lois Gladstone (Chief Financial Officer): From a profit standpoint, we generated $50,000 profit in the first quarter, flat with last year. We're generating enough free cash flow to pay the bills. Of course, our world blew up this week when L.L. 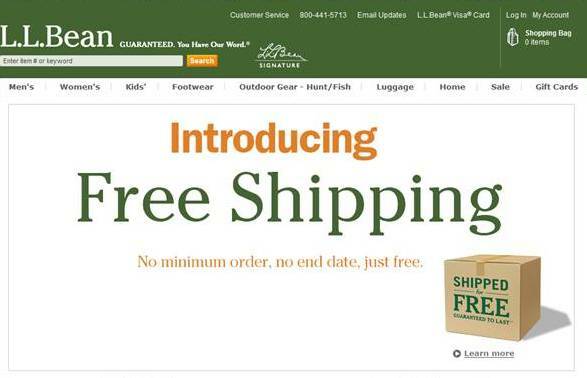 Bean announced free shipping 24/7/365, and then our biggest competitor, Anna Carter, announced that they will also offer free shipping 24/7/365. This is the last thing we need. Libby Benson (Director of Social Media): The social media world is buzzing about each announcement. We've been monitoring this in the listening center all week. @dressdiva77 said this earlier this week ... "Gliebers wants to charge me $14.95 to ship two dresses. 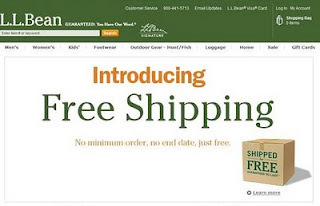 Even though Anna Carter is more expensive, they're worth it now that they have free shipping." Meredith Thompson (Chief Merchandising Officer): You know, we work so hard on having a fashion forward assortment. We've spent years reinventing the supply chain. We monitor fashion trends in the blogosphere, and you know how much I hate doing that! We're making progress. And then, our progress is stunted by marketing and financial strategy. What is our answer? Lois Gladstone: We need to stay the course. We have our "buy four dresses, get free shipping for a year" policy. Obviously, customers see the value, right? Roger Morgan: When we run free shipping promotions, what kind of lift do we get? Pepper Morgan: When we run free shipping with no hurdle, we get a twenty percent sales lift, but we lose money on the promotion. When we run free shipping with a $100 hurdle, we get a ten percent sales lift, and we can generate a profit. When we run free shipping with a $100 hurdle for more than three consecutive months, the lift is reduced to just three percent, and we lose money. Lois Gladstone: So, strategically, we're well positioned with our current loyalty strategy of free shipping for a year if the customer buys just four dresses. Pepper Morgan: What we've observed, however, is that the loyalty strategy works with best customers. We really struggle with acquiring new customers. We expect the new customer to buy two dresses at $160, plus $14.95 shipping and handling. The customer can simply go to Anna Carter and pay $169, but get free shipping. Libby Benson: Our listening center shows that we're generating a lot of negative sentiment. And our Klout scores are in decline since the announcement. We can't afford this kind of negative publicity. Libby Benson: Yes, we can measure, in real time, what people think of us. Our shipping and handling policy is hurting our reputation. Roger Morgan: So let me get this straight. If we follow suit, we'll generate an unprofitable sales lift. If we add a hurdle, like $100, we're still not competitive. If we extend free shipping beyond a few months, we'll be unprofitable. And if we stay where we are, we're not competitive, and we're barely making money as we speak. We don't have the money to match free shipping. And we can't afford not to match free shipping. Lois Gladstone: Maybe we can afford to cover free shipping if we mail fewer catalogs. We'll use the money we save mailing catalogs, and instead use that to fund free shipping on a permanent basis. We've got to have a ton of waste there, right? Meredith Thompson: Wait one minute, Lois. The catalog is our heritage. The catalog IS Gliebers Dresses. Without the catalog, we're just, what, what the heck would we be? Pepper Morgan: An e-commerce dress retailer? Meredith Thompson: An e-commerce dress retailer who couldn't drive traffic to our website, that's what we'd be. How does the customer get to our website without a catalog? Lois Gladstone: How does the customer get to Amazon.com without a catalog, or to Zappos.com without a catalog? Meredith Thompson: Or pets.com? It's easy to point out the successes, but we never point out the hundreds of thousands of failures. You must have a catalog, because the catalog is what is used by the customer to get to the website. When we eliminate catalog mailings, we reduce demand. And when we reduce demand, we have to clear overstocked products. When we clear overstocked products, we lose gross margin dollars, making us even more unprofitable. And we're not very profitable right now, are we? Libby Benson: Today's modern customer doesn't care about our plight. All she wants is a dress at a fair price, coupled with free shipping. That's her expectation. We're going to have to absorb the cost. Lois Gladstone: We can't afford to absorb the cost. And even I agree with Meredith, we can't circulate fewer catalogs, we've bought inventory to match the number of catalogs we're going to mail. The last thing we can afford to do is liquidate product at a loss. We're going to have to continue moving forward with our free shipping loyalty program, where you get free shipping for a year when you buy four dresses. We don't have a choice. Libby Benson: But we do have a choice. We can take a risk. Or we can market why our current program is better than free shipping all day, every day, all year ... and we know that our current program isn't better, it is worse. Pepper Morgan: Here's the problem, folks. We are all going to be forced to offer free shipping. We aren't going to have a choice. And when every one of us offers free shipping, the lift associated with free shipping disappears. In other words, we're going to be forced to offer free shipping, and when we all offer free shipping, the lift disappears, causing us to all be less profitable. Lois Gladstone: Roger, you've been uncharacteristically quiet. What do you think? Roger Morgan: I recently read a Woodside Research report. It talked about something they called the "Nimble Touchpoint Trooper". This is a customer that is all mobile, all social, 24/7/365, using offline marketing and online marketing and websites and hip, modern tools to get the best deals. This customer will demand that we all offer free shipping. But in the short term, I agree with Lois, we can't afford to match free shipping 24/7/35. Libby Benson: We'll get stoned in the social media world. Roger Morgan: We, as a team, are going to need to find ways to grow revenue. And if we cannot grow revenue by selling merchandise, we're going to have to sell our marketing platform. Roger Morgan: Next week, I expect to announce that Gliebers Dresses will be sold. Roger Morgan: Yes, Gliebers Dresses will be sold to J.J. Glieber. Meredith Thompson: You have GOT to be kidding? What does he know about selling dresses? Glenn Glieber WAS Gliebers Dresses. J.J. benefited from Dad's money, using that money to become one of the greatest snow boarders of all time. We've all seen him on TV, hawking Nitro-Blitz, the six hour energy drink. Roger Morgan: When this transaction closes next week, I will be appointed President and Chief Executive Officer. J.J. is not likely to be a hands-on owner. But he does have plans for our business. He wants a younger customer base. He told me yesterday that we're not going to be a "Geezer Brand". He wants to introduce Gliebers Dresses to his demographic. And he has a lot of marketing money from Nitro-Blitz, marketing money that might help us fund free shipping. Lois Gladstone: President and Chief Executive Officer, Roger. You must be very happy. Roger Morgan: It is the pinnacle of my career. And yet, I sit here, in front of you, curiously quiet. Our private equity overlords nearly killed our business. I have to rebuild the business, and in doing so, I probably have to offer free shipping on every order, because companies "with scale" decided to put the squeeze on everybody else. The expenses associated with free shipping are going to reverberate through this organization. We may need marketing dollars from Nitro-Blitz Six Hour Energy Drink. We may need to source cheaper fabric. We may need to reduce salaries, eliminate bonuses, trim benefits, mail fewer catalogs. The little people are going to be hurt, the folks who work in the contact center or distribution center. They are going to be hurt because free shipping is going to become a standard offer. Meredith Thompson: And you get to be the one who delivers this message.